How to do Affiliate Marketing on Your Blog? Most of the people start blogging but don’t know how to make Money from it. You spend a lot of time in research for writing an amazing blog and got traffic also but don’t know how to convert that traffic into revenue. Do Affiliate marketing, This is one of the primary methods to generate revenue through the blog. 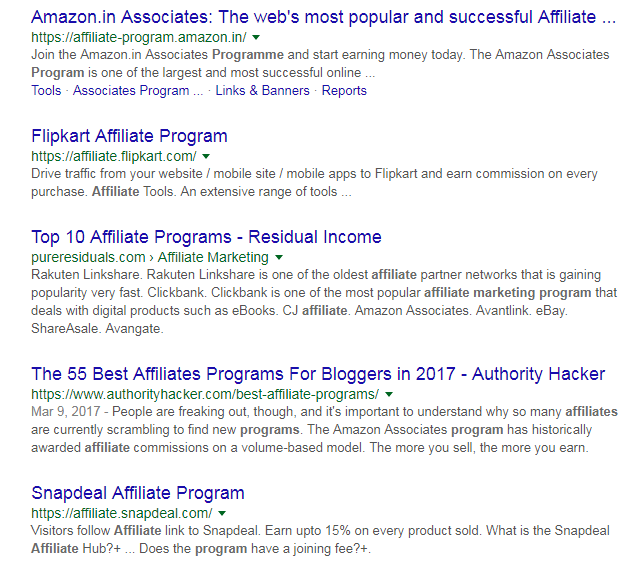 In case you are not familiar with affiliate marketing is, here’s the skinny: Most of the e-commerce site like Amazon, Ali Baba having their affiliation programme under which you can signup and start you affiliation journey. After signing for these affiliate programme, you will receive unique links to their products. Just copy and paste those link into your blog. Whenever someone clicks on one of these link and purchase product, You will receive a percentage of the sale. Which is referred to a commission. Seo company Experts bring you the simple methods to do affiliate marketing on your blog. Which will help you to make revenue through your blog? If you already have the well-set blogging site, then you can move ahead to step two. If not first create your blogging site using WordPress or there are a number of online blogs building sites through which you can create your blog without any hassle. Note: Highly recommend take a couple of months to add great content and build your social media following before you start trying to monetize your blog. This will allow you to create trust with your audience before you begin to do affiliate marketing. To do affiliate marketing on your blog, you have two option either sign up for an individual company or sign up with an affiliate network like Amazon or many more. We recommend you to do both. Signing to do affiliate marketing with individual company allows you to promote that company’s products or services. And Signing with an affiliate network will allow you to promote the different companies product through that particular network. The vast majority of affiliate programs and networks require a simple application process to ensure they’re only partnering with high-quality sites. Most won’t care if you have low levels of traffic, as long as you regularly add great content to your site. Regardless of whether you sign up with an individual company or affiliate network (or both), it’s super important that you keep your standards high. We recommend only promoting products or companies you have personal experience with and would heartily recommend to friends and family. Once you approved affiliater for any Individual company or Affiliate network. You will be able to create an affiliate link for different products. When you get started posting affiliate link on your site, there is three-way in which you can use these link while posting. Replace current product link with your affiliate link. Add a new link to your content. Or add affiliate banner ads to your site. Writing a review for a product and insert a link into the content is the best way to promote your affiliate link. There are many ways to which you can make money through your blog. To do affiliate marketing is one of the best and easy way. Using above methods will give you fast result in making money using affiliate marketing. Feel free to share your thoughts on the given below comment box.